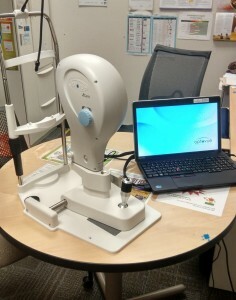 Using innovative telemedicine techniques the Ocular Health Centre is proud to provide a portable Diabetic Retinopathy Screening unit. 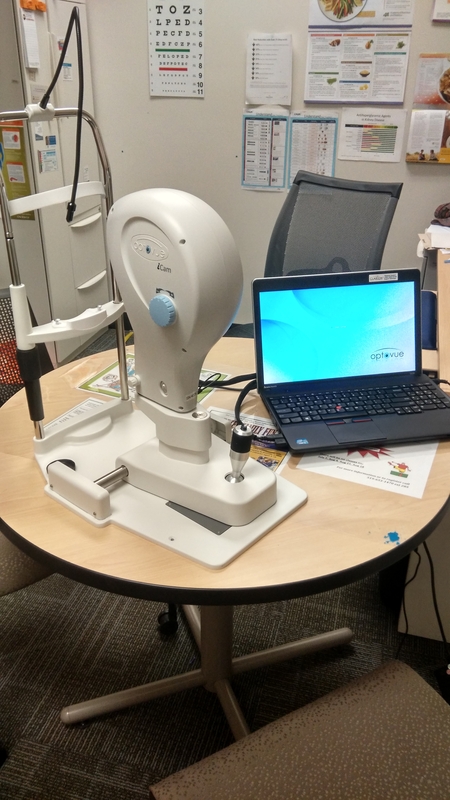 We offer the full Diabetic Retinopathy Screening service at participating locations including local Family Health Teams and Community Health Centres. This is a convenient alternative for patients who would rather stay in a comfortable and familiar environment. This will hopefully remove a barrier and ensure our vulnerable population is being screened for a potentially debilitating disease (Diabetic Retinopathy). Our screening appointments involve a quick series of non-invasive diagnostic tests that are all provided on site. Once this testing is completed the results are uploaded to our secure site. One of our ophthalmologists will access and assess the information. A report is then written informing the referring health care provider of the results. Patients may also request copies sent to other providers involved in their care. The patient is notified by an Ocular Health Centre Team Member as to what the next steps are to their prevention, treatment or management of ocular pathology. This could include follow up appointments in office with the ophthalmologist or being referred on to an optometrist for yearly screenings. If you are interested in offering this screening service at your location please contact us at drscree@ocular.ca for more information.